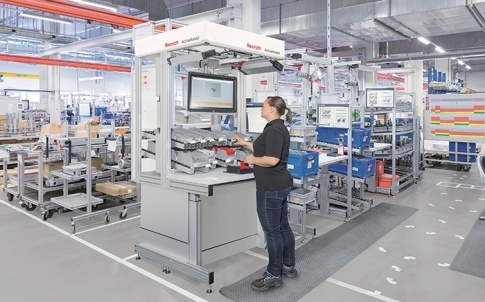 Bosch Rexroth has launched a new interactive communications platform, which has been designed to play a key role in the adoption of smart manufacturing in the UK. 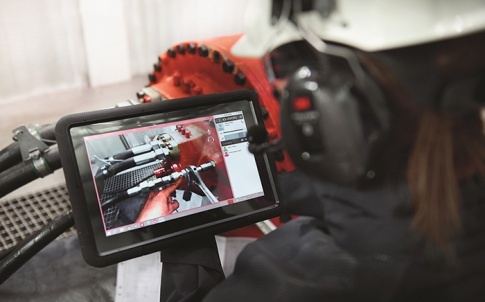 As part of the company’s Industry 4.0-ready products, ActiveCockpit collates, filters and visualises data continuously, enabling operators to react quickly to any changes to the production process. Transparency is a key element of ActiveCockpit. 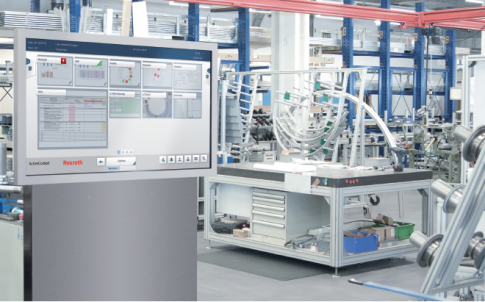 The industrial software provides a digital connection between operator, product, workstation and process, collating data on a touchscreen whiteboard located close to production processes. The whiteboard displays key production data live, in both stationary and mobile forms, seamlessly integrating the virtual world of order planning and production control. Key benefits include automatic creation of reports, which reduces preparation time for meetings, and improved communication of malfunctions and effective diagnosis, facilitating an immediate response. ActiveCockpit not only saves time and costs, but also increases productivity and competitiveness. 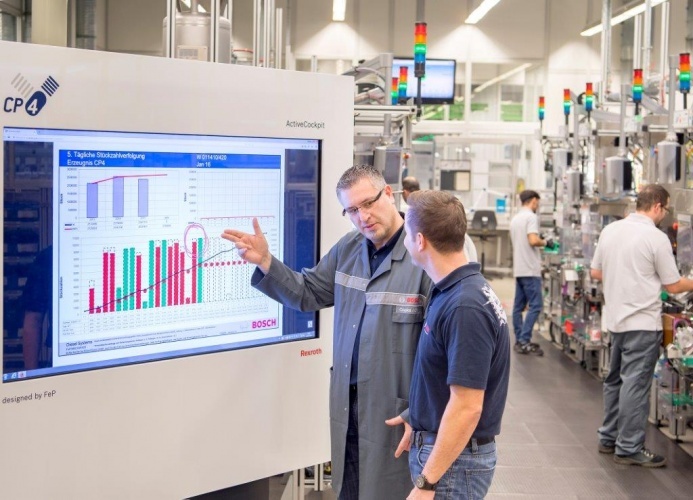 For some time now Bosch Rexroth has been employing a dual strategy, which sees the company develop Industry 4.0 technologies in its own factories, before rolling out them out to industry. 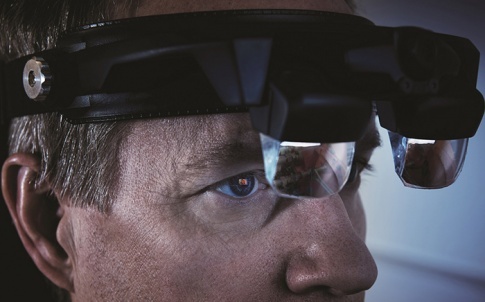 Currently, ActiveCockpit is being used in locations around the globe – from China to Sweden, with plans for adoption within Rexroth’s Glenrothes plant in the coming months. Economical, precise, safe, and energy efficient: drive and control technology from Bosch Rexroth moves machines and systems of any size. The company bundles global application experience in the market segments of Mobile Applications, Machinery Applications and Engineering, and Factory Automation to develop innovative components as well as tailored system solutions and services. Economical, precise, safe, and energy efficient: drive and control technology from Bosch Rexroth moves machines and systems of any size. The company bundles global application experience in the market segments of Mobile Applications, Machinery Applications and Engineering, and Factory Automation to develop innovative components as well as tailored system solutions and services. 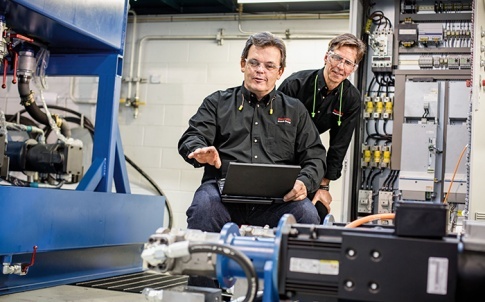 Bosch Rexroth offers its customers hydraulics, electric drives and controls, gear technology, and linear motion and assembly technology all from one source. With locations in over 80 countries, more than 33,700 associates generated sales revenue of approximately 5.6 billion euros in 2014.